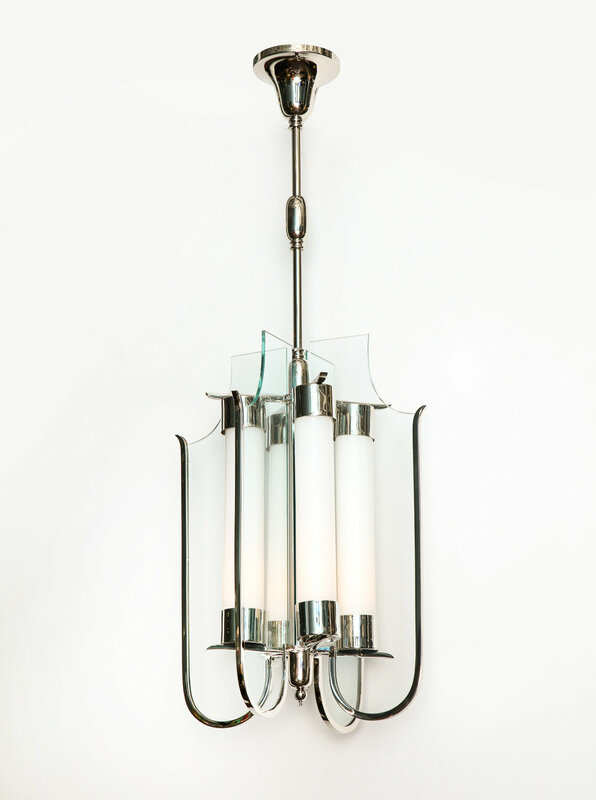 Elegant fixture of nickeled metal with beautifully machined elements. Clear glass panels and opaque glass tubes. Each tube conceals one standard edison socket. Metal has recently been re-plated and all wiring and sockets have been replaced. *This fixture comes with a letter of attribution by the Gio Ponti Archives. Ponti and Chiesa were already working closely together when Ponti invited Chiesa to be the artistic director of Fontana Arte in 1933.
h. 22" diam. 17" overall h. 40"